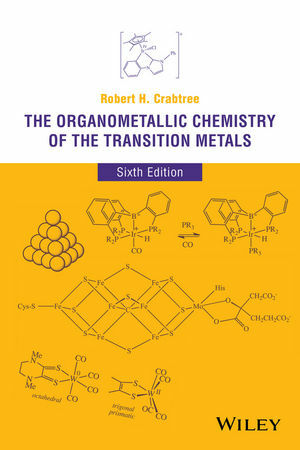 Fully updated and expanded to reflect recent advances, the sixth edition of this bestselling text provides students and professional chemists with a comprehensive introduction to the principles and general properties of organometallic compounds, as well as including practical information on reaction mechanisms and detailed descriptions of contemporary applications. Increased focus is given to organic synthesis applications, nanoparticle science, and green chemistry. Robert H. Crabtree, Ph. D., is Whitehead professor in the Department of Chemistry at Yale University. He has served on the editorial boards of Chemical Reviews, New Journal of Chemistry, Journal of Molecular Catalysis, and Organometallics and has received numerous awards for his research accomplishments including the Centenary Prize of the Royal Society of Chemistry (2014) and the Organometallic Chemistry Prize of the American Chemical Society (1993).